I couldn’t put this down. 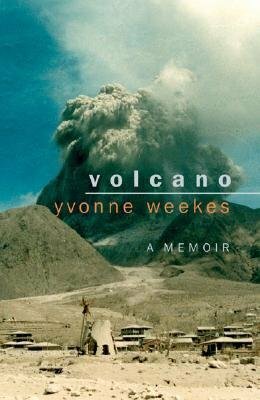 Beautifully written and wrought with an overwhelming sadness, Weekes’ memoir about Soufriere Hills, a dormant volcano on the Caribbean island of Montserrat which roared to life in 1995, packs much into few pages. If you’re looking for a technical accounting of the events of the destruction of Montserrat, this is not for you. If you’re looking to try to understand what it must have been like to be there and how it affected those who lived there, then this is what you’re looking for. This is a painful walk—so unimaginable it almost feels like fiction—through how the volcano destroyed the lives of so many. Through Weekes’ eyes, we watch a world, and a way of life, die. Similarly, though, this is also a character/conflict/crisis/change story; we watch a woman who loses her identity and all she holds dear find her inner strength—and herself—again. It’s anything but an inconsequential memoir; it’s a moment-to-moment chronicle of her inner conflict from the day the mountain woke up until the day she was forced to leave. I was not expecting, when I read this book, to come away so grateful for all that I have, and so full of respect for anyone who has the strength to face such adversity and survive better for it; reading this truly changed my perspective on life. If you are looking for an intense—but brief—read, this is for you. Posted on July 21, 2016, in Reviews and tagged Blue Latitudes: Caribbean Writers anthology, destruction of city of Plymouth, Montserrat, Soufriere Hills, Volcano memoir, Yvonne Weekes. Bookmark the permalink. Leave a comment.